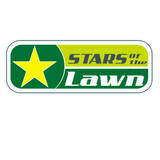 Stars of the Lawn LLC, was established in 2009 but we have experience in the lawn care industry for almost 15 years. We specialize is lawn maintenance and landscaping, offering services such as lawn mowing, yard clean up, gutter cleaning, mulching services, to name a few. Our service area is within Virginia, Maryland and Washington DC.Our goal is to provide all of our customers with superior value for the service that they are receiving. Our service is priced to be competitive in the market place yet not compromise on quality. We are a family run business and our approach to service is like no other company. In an industry that is difficult to establish a unique identity, we believe we have acheived precisely that by leading our industry in many ways, and by giving back not only to those kind enough to employ us, but also to those less fortunate in our community. We believe the path to success and increased market share is to combine great service with undeniable value. That means we do not require market rate compensation for each service we perform over and above those outlined in our contract. We do many services for free! SML SERVICES prides itself on being the go-to choice for clients looking for Aeration, Leaf Removal and Snow Removal services. 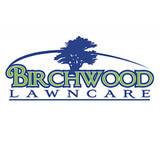 For over 30 years, Birchwood Lawncare has been servicing the Montgomery Country area of Maryland. Kevin Ricci started Birchwood in 1984, and has helped the company to continue its vision of providing its customers with individualized care and professional lanscaping services. In 2014, Birchwood earned the service industry’s coveted Angie’s List Super Service Award, reflecting an exemplary year of service provided to members of the consumer review site for landscaping and holiday lighting. “Only about 5 percent of the landscaping companies in in the Mayland, Virginia and Washington D.C. markets have performed so consistently well enough to earn our Super Service Award,” said Angie’s List Founder Angie Hicks. “It’s a mark of consistently great customer service.” Birchwood's reputation for providing its customers with individualized attention is just one of the many factors that has helped to distinguish it from the many competitors in the area. In 2007, Birchwood Holiday Lighting was created to provide customers with an additional service that allows them to enjoy the holiday season without all of the hassle that comes with untangling, putting up, fixing, and taking down holiday lights. Birchwood provides full service; start to finish exterior holiday decorating for commercial and residential properties. Our team of professional decorators performs installation, maintenance, and removal of the holiday lights and decorations. We even provide storage for your purchased holiday lights. We appreciate the feedback we receive, because it allows us to continue improving in order to be the best company that we possibly can. Birchwood promises that we will always strive to you with our very best effort and quality each time so that your house or business always looks its very best. We are a service driven fire protection service provider, specializing in service and inspections, using professionally trained personnel. We pride ourselves on service, and guarantee that you will not find a higher level of service anywhere in our industry. While excellent service is a promise we make to all our customers’ quality of workmanship and safety are also important aspects of every job. Our employees are all full time, highly trained personnel in their respective trades. We maintain an in house training program to improve skills of our field personnel on an ongoing basis. We also send our personnel for outside training when it is applicable and beneficial to us and you the customer. We are very sensitive to our customers needs, and pride ourselves on service, quality, and competitive pricing to complete projects thoroughly, timely, and within budget. Potomac Petals and Plants is an owner-operated garden center and floral design studio that is proud to serve the greater Bethesda region. We have built a wonderful reputation with our eye-catching creations and outstanding commitment to our customers. Nothing pleases us more than putting smiles on our customer's faces. As life-long nature enthusiasts, we love the vivid colors and beauty of flowers, as well as the diversity. We are picky about selecting the most beautiful, healthy plants from our growers to ensure that you are able to choose from the finest options available. We also have a variety of soils, gardening supplies, and a boutique shop filled with gourmet cooking and home decor items. Since 1994, C & J Lawn Care has been servicing both residential and commercial properties throughout central Pennsylvania. We are fully insured and offer a variety of services. Like out motto says, "No job too big or too small. ", we have the experience, equipment and manpower to do what you need. So take some time and tour our site to see all that we offer. You will find we can become your company of choice for compete property maintenance for your home or business! Rasevic Landscape Company provides full service landscaping installation and maintenance for your home. Our landscaping services include lawn and garden maintenance, landscaping design, landscape renovations and build/installations, as well as holiday decorating services. And at Rasevic, the owner of the company visits sites regularly. This instills in our customers the confidence that their project will receive excellent service and top quality. Supporting our owner involvement are the exceptional people who work at Rasevic. Our crews are responsible, very capable, and extremely careful. The crews at Rasevic have been with the company for many years. This continuity creates consistency in our maintenance and installation projects Rasevic is constantly trying to find the most efficient ways to do things. Most companies of our size have twice the number of employees. This translates to better value for the clients. "I TAKE PRIDE IN MAKING YOUR LAWN LOOK ITS BEST!" HI MY NAME IS MATT WILT, I AM THE OWNER OF WILT & SONS LAWN CARE. I HAVE BEEN CUTTING LAWNS EVER SINCE I CAN REMEMBER STARTING WITH OUR CHURCH LAWN. AT TEN YEARS OLD I GOT MY FIRST PAYING JOB CUTTING THE NEIGHBORS LAWN EVERY WEEK. I QUICKLY REALIZED THERE IS NOTHING I ENJOY MORE THEN WORKING OUTDOORS, AND THE FEELING OF PRIDE AFTER A CUSTOMER TELLS YOU HOW HAPPY THEY ARE WITH YOUR WORK. IN 2011 I DECIDED TO START A LAWN AND LANDSCAPING BUSINESS.ATTENTION TO DETAIL, QUALITY WORK, RELIABLE SERVICE, AND CUSTOMER SATISFACTION IS WHAT WILT AND SONS LAWN CARE IS FOCUSED ON. Since 1999 we are serving MD, VA and DC with trained personnel and proper equipment. What make us different from other landscaping providers is the quality of our work. All year round we take the necessary steps to make your garden grow healthy and beautiful. Washington, D.C., formally known as the District of Columbia is still commonly referred to as Washington or just D.C. This city is the capital of the United States of America. It was founded after the American Revolution and was set as the seat of government for the newly formed independent country. The City of Washington was named after the First President of the United States. Washington is the principal city of the Washington metropolitan area. The population of DC was 6,131,977 according to the 2010 US Census. Washington has been described as an important political capital, which status is undoubted because of its status as the capital of the United States federal government. It is one of the most visited cities in the whole world, harboring over 20 million tourists annually. As of the signing of the document known as the Residence Act on July 16, 1790, which approved the building of a capital district located along the Potomac River DC was created. The Constitution of the United States provided a section for a federal district which would be under the exclusive jurisdiction of the Congress therefore, the District is therefore not a part of any state. Two states, the states of Maryland and Virginia each donated a piece of land to form the federal district. This included the two pre- constitution settlements of Georgetown and Alexandria. The city was named in honor of President George Washington, and was founded in 1791 to serve as the new national capital. In the year of 1846, Congress returned the land originally which was ceded by Virginia. An in the year 1871, it created a single municipal government for the remaining portion of the District. As of 2017 Washington had an estimated population of 693,972. Commuters come from the surrounding VA and MD suburbs raise the city's daytime population to more than one million during the work week. 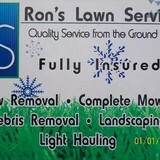 We are the best lawn maintenance guys in Mountville, PA. Please contact us for all your lawn and sprinkler needs! R&M Landscaping & Construction, LLC has been providing superior quality landscaping services for over 16 years. We take pride in our work, and it shows. Contact us today for all your lawn care needs. Blade Trimmers Lawn Care Service was started in 2011 by Dave and Stacy Oaster and has since grown steadily. We believe that with consistent maintenance and excellent service, we can continue that growth. Maintaining your property not only helps to hold its value, but also, it makes for great first impressions on your home and your business. The feeling you get from a properly maintained landscape not only pleases you, but also others that may be visiting and employees as well. Are you looking to enhance your landscape? Do your flower beds need color or just some TLC? Do you just not have the time for regular maintenance? Whatever your needs, if you're asking yourself these questions, let us help you in finding a solution. When developing customized solutions, we combine creativity with realistic planning and due care. In the process, we are guided by your individual wishes, needs and interests, as well as the existing vegetation, topography, architecture and the landscape's character.